She's no newcomer to development and after more than 30 years of work, Kathy Makino-Leipsitz continues to make her mark in Detroit neighborhoods. 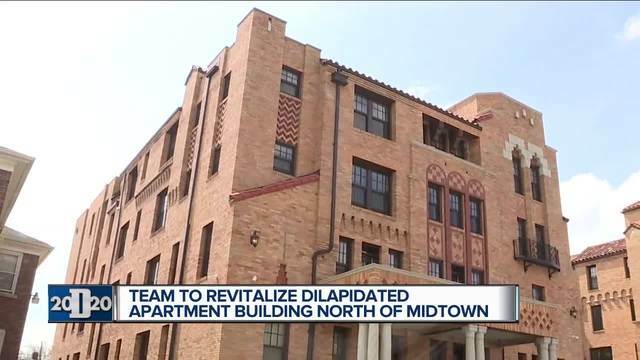 "I've always loved the fringe communities, the neighborhoods where nobody was paying a lot of attention but you see so much potential in them," she told Action News while making a site visit as the renovation work began at the 11-story apartment building at 59 Seward, located north of Midtown. The building opened as the Seward Hotel in the mid-1920s. "It's going to be 91 senior apartments, affordable senior apartments, and then there will be 20 percent market rate units," Makino-Leipsitz said of the former Wellington Place building on Seward Street. The building is one of several she controls on the street. Renovations are already complete at the Midtown Square Apartments. Once the Wellington Place project is complete, attention will shift to the dilapidated Bonita building, which sits right next door. Makino-Leipsitz and her team have redeveloped nearly 30 buildings in the city. They are making a huge impact in Palmer Park. She has purchased 14 buildings there and eight are now complete, including the Coronado, which welcomed its first tenants in January. Walter Williams was one of the first residents to move into the Coronado, which features Moorish Revival and Art Deco architecture on the outside and modern, top of the line finishes on the inside. "She is a veteran," said of the female developer. "She's got a couple buildings over here. She's been doing if for a while so I can't knock her for that.